The MONDELLA - located in Cedar Cottage at Fraser/17th. Walk to trendy shops, cafes & restaurants. Just 10 mins to downtown. Bright, 2 bedroom & den, 1 bath with laminate HW floors & newer kitchen backsplash. Den adjoining living room.Lots of natural light. Great open layout with no wasted space & plenty of storage within the unit. 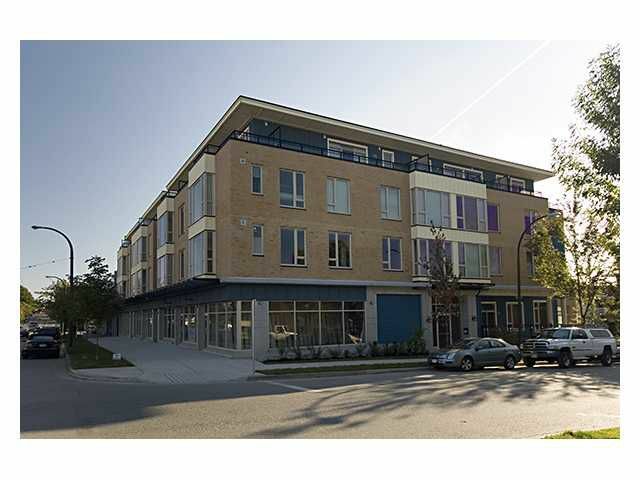 Building has common private lounge with kitchen & bathroom on main, Schools, transit & Price Smart Grocery close by. All measurements approximate & buyer to verify if important.